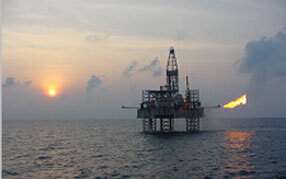 Houston Drilling Management, L.L.C. (HDM) is an engineering consulting company serving the requirements of clients engaged in the drilling and completion of exploratory and development wells worldwide. HDM provides engineering staff and supervisory personnel to perform such tasks as drilling and completion well design, on-site supervision of drilling and completion operations, and procurement of equipment and services. HDM’s services can be tailored to meet a diverse range of client needs, from complete project management to supervision of operations under the direction of client managers. HDM is managed by petroleum engineers who each began their careers with major, multi-national oil companies, where they received training and experience in all facets of drilling and completion operations in both domestic and international locations. They formed Houston Drilling Management as a vehicle to offer their services, as well as that of experienced and qualified associates, to client companies requiring assistance in well design, planning and operations management. HDM’s goal is to provide engineering consulting services, matched to our client’s requirements. We seek to develop individual relationships with our clients and strive to provide quality professional services. It is our intent to demonstrate our commitment to our clients by becoming a part of the team charged with the responsibility of meeting the client’s objectives in a professional, safe, and cost effective manner. HDM is a registered, limited liability company in the State of Texas, with its headquarters located in Houston.